Haight proudly donates to the Justice & Diversity Center of the Bar Association of San Francisco’s 11th Annual “Ride for Justice” in support of San Francisco attorney Stephen M. Tye. 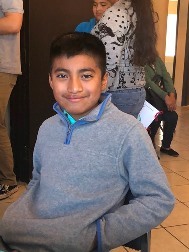 This is Mr. Tye’s second year participating in the JDC’s Bike-A-Thon, which raises funds to provide pro bono legal services programs that provide access to justice for thousands of San Franciscans every year. Several of Haight’s attorneys have previously received Outstanding Volunteer in Public Services certificates for various contributions to programs within the Justice & Diversity Center and Haight is happy to continue providing support for the JDC’s exceptional legal services programs. JDC’s volunteers like Stephen are invaluable to Pro Bono Legal Services Programs, Homeless Advocacy Project, and Diversity Educational Programs. 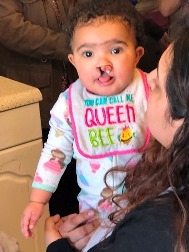 In May 2018, attorney Allegra Perez volunteered with Thousand Smiles Foundation, a nonprofit organization that has provided oral maxillofacial treatments and dental work to underprivileged children in Ensenada, Mexico who suffer from facial deformities, such as cleft lip and palate. 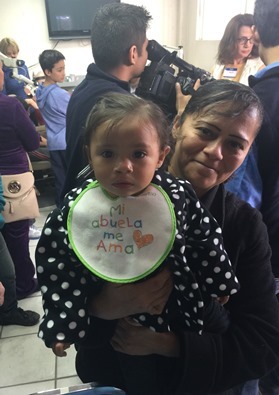 Allegra has been volunteering for over a decade and frequently travels to Ensenada to serve as a translator between surgeons and patients. Haight knows California. As part of our commitment to California, we have chosen to make a difference in the lives of others through our community service and pro bono efforts. Our attorneys channel their talents into causes they are committed to, so they can serve others with the same passion in which they approach their work. Our desire to make a difference comes from seeing so many in need and knowing that just one simple act can improve a life. 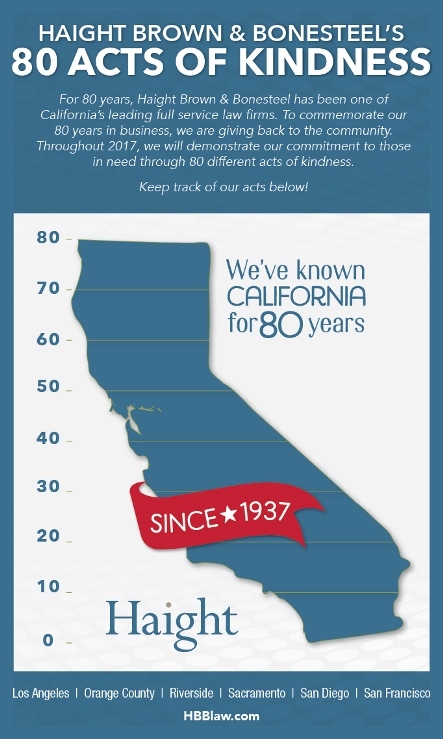 For 80 years, Haight Brown & Bonesteel has been one of California’s leading full service law firms. To commemorate our 80 years in business, we are giving back to the community. Throughout 2017, we will demonstrate our commitment to those in need through 80 different acts of kindness. Keep track of our acts! The Harriett Buhai Center for Family Law was founded in the early 1980s by Black Women Lawyers Association of Los Angeles, the Los Angeles County Bar and Women Lawyers Association of Los Angeles. Since its inception, the Center has served as a cornerstone of family law and domestic violence assistance for low-income persons in the Los Angeles area. For over 21 years, Jennifer Saunders, a partner in Haight’s Los Angeles office, has worked with the Harriett Buhai Center providing this much needed assistance in the community. With the help of volunteers like Jennifer, the Center’s mission to provide free family law assistance, legal education to the poor and empowering people in need while assuring them meaningful access to the courts, is assisted and the community is served. 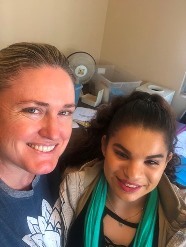 For more than a decade, Attorney Allegra Perez has volunteered with Thousand Smiles Foundation, a nonprofit organization that has provided oral maxillofacial treatments and dental work to underprivileged children in Ensenada, Mexico who suffer from facial deformities, such as cleft lip and palate. 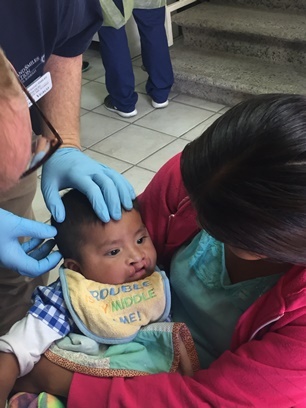 Allegra frequently travels to Ensenada to serve as a translator between surgeons and patients. May 11, 2016 – U.S. Citizenship and Immigration Services granted Haight’s pro bono client asylum in the United States, pursuant to section 208 of the Immigration and Nationality Act (INA). This decision comes after three years of processing of the client’s application, the firm’s work revising her application materials, a change in her circumstance over the course of the three-year period, and an extensive interview process. January 29, 2016 – The ABA Standing Committee on Legal Assistance for Military Personnel (LAMP) named Haight’s San Francisco Partner, Steven M. Cvitanovic recipient of the ABA Military Pro Bono Project Outstanding Services Award for his services in 2015. The LAMP Committee reserves these annual awards for individual attorneys, law firms and law departments that have provided extraordinary pro bono services through the ABA Military Pro Bono Project. Awards are provided only to those who meet specified criteria involving the number of pro bono cases accepted through the Military Pro Bono Project and/or the number of rendered pro bono hours reported to the Project for completed cases. The assistance ensures that active duty servicemembers are receiving the legal help that they need. 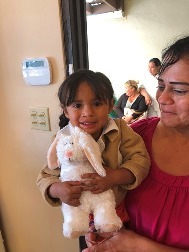 May 2015 – Each year, in conjunction with one of our insurance clients, Haight participates in donating Mother’s Day gift baskets to the children of Haven Hills Shelter for Battered Women and Children to give to their mothers as gifts for Mother’s Day. The baskets are a welcome and unexpected treat for the women receiving services through Haven Hills. As part of the firm’s commitment to giving back, our baskets have become an annual tradition we look forward to every year. The 30th Annual Judges Reception took place on July 23, 2014. This nationally-recognized event is held each year by the Barristers Club and the revenue raised supports the Barristers Club and its programs. Over the past 29 years the event has grown into one of the most popular and well attended programs for the judiciary. Jessica Lassere Ryland of Haight’s San Francisco office serves as Vice Chair of the Judges Reception Committee. March 2014 – The Justice & Diversity Center (JDC) of The Bar Association of San Francisco selected Steven M. Cvitanovic and Ted M. Handel to receive Outstanding Volunteer in Public Service Certificates. The certificates are awarded to recognize and thank the top 15 percent of volunteers who have made extraordinary contributions to the JDC. JDC’s volunteers are invaluable to Pro Bono Legal Services Programs, Homeless Advocacy Project, and Diversity Educational Programs. Steve and Ted will receive their certificates at a reception hosted by the JDC at the UC Hastings College of Law on April 17th beginning 5pm. March 2014 – A Rainbow Key Award was awarded by the West Hollywood City Council to Haight’s Valerie Moore and her life partner Noelle Carter. Five awards were given this year to those who have made a significant contribution to the lesbian and gay community and winners are recommended by the city’s Lesbian and Gay Advisory Board. Val and Noelle are West Hollywood residents who for the past 10 Thanksgivings have hosted “The Long Table,” a place for LGBT people and friends who may not feel welcome elsewhere. They are active in building a sense of neighborhood and community, and for more than a decade have hosted shade tents at Santa Monica Boulevard at Hancock Avenue during the LA Pride parade—a tradition they started to help friends unable to stand in sunshine due to medications for HIV/AIDS. February 2014 – David W. Evans, a partner in Haight’s San Francisco office agreed to assist a non-profit with questions involving professional liability and directors and officers insurance. This non-profit is dedicated to assisting individuals recently released from prison. Mr. Evans is helping this organization get one step closer to fulfilling its mission to assist those trying to rebuild their lives. January 2014 – Haight’s San Francisco partner Steven M. Cvitanovic represented a member of the Air Force when a default judgment was entered while he was serving in Afghanistan. Haight filed a motion to lift the default judgment and default in accordance with the Servicemembers Civil Relief Act which protects members of the armed forces from civil actions while they are on active duty. The court granted the motion and Haight is seeking an order requiring the plaintiff to return the funds which were garnished from the account of the servicemember when he was deployed in Afghanistan. January 2014 – Haight’s Orange County office associate Whitney L. Stefko continues helping a client with her quest for asylum in the U.S. The client fled Jordan after suffering mental and physical abuse for years at the hands of her now ex-husband. We have been successful in securing her authorization to work in the U.S. and we are charging ahead to ensure our client will ultimately work and live in this country. January 2014 – Los Angeles associate, Blythe Golay, volunteers at the Harriett Buhai Center for Family Law. She is assisting clients with complicated issues involving modifications to child support, custody and restraining orders. 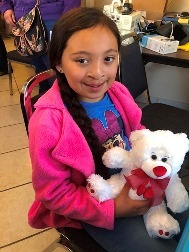 In one case, the juvenile court awarded sole custody to one parent, but with Blythe’s assistance, the other parent is seeking modification of the order and will hopefully gain visitation with the child. November 8, 2013 – Haight’s San Francisco office attorney Abigail Lighthart is on the judging panel for the ABA Law Student Division Region 9 Negotiation Competition. The competition promotes greater interest among law students in legal negotiation and provides a means for them to practice and improve their negotiating skills. The competition simulates legal negotiations in which law students negotiate opposing interests in a series of legal problems. Abigail and the other judges grade participants based upon their legal analysis, poise, creativity, communication and negotiation skills. In 2008, Abigail judged the first round of the Western Regional AIPLA Giles Sutherland Rich Moot Court Competition at Santa Clara Law School. Volunteers such as Abigail, give law students the opportunity to gain practical experience in the art of negotiation and other areas which oftentimes places them ahead of the pack. October 26-27, 2013 – When Zachary W. Shine of Haight Brown & Bonesteel’s San Francisco office was a student, he competed with his team and won the ABA Annual Trial Advocacy Competition. This year, Zach returns as an observer to evaluate and interact with the law students competing. The American Bar Association’s Section of Labor and Employment Law established the competition to introduce law students to the challenges and rewards of employment and labor litigation. Law students get the opportunity to develop their trial advocacy techinique in a courtroom experience while meeting and networking with fellow law students and labor and employment attorneys. The competition is made possible by the oustanding commitment of volunteers like Zach who serve as coaches, judges and evaluators. Haight attorneys assisted a client who fled Jordan after suffering years of mental and physical abuse at the hands of her now ex-husband and his agents. Since fleeing Jordan, her client has continued to receive threats of violence, even death, should she return. 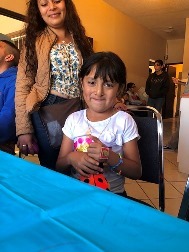 Her only form of protection is to be granted asylum in the United States, but language barriers and general unfamiliarity with the immigration and asylum processes inhibited her ability to apply for asylum. Nancy’s efforts have aided her client in navigating both the English language and legal system so that her client can be afforded protection from the hostile and violent environment from which she originally escaped. October 2013 – The Justice & Diversity Center (JDC) spotlighted Haight Brown & Bonesteel partners, Steven M. Cvitanovic and Ted M. Handel as October volunteers of the month. Handel and Cvitanovic provided pro bono real estate law services to the San Francisco Community Land Trust which acquires buildings and converts them into affordable housing that low- to moderate-income San Francisco residents own and control. Handel and Cvitanovic volunteered to help SFCLT through JDC’s Community Organization Project (CORP). CORP provides pro bono transactional legal services to nonprofit organizations that serve low-income communities. The Harriett Buhai Center for Family Law was founded in the early 1980s by Black Women Lawyers Association of Los Angeles, the Los Angeles County Bar and Women Lawyers Association of Los Angeles. Since its inception, the Center has served as a cornerstone of family law and domestic violence assistance for low-income persons in the Los Angeles area. For over 17 years, Jennifer Saunders, a partner in Haight’s Los Angeles office, has worked with the Harriett Buhai Center providing this much needed assistance in our community. With the help of volunteers like Jennifer, the Center’s mission to provide free family law assistance, legal education to the poor and empowering people in need while assuring them meaningful access to the courts, is assisted and the community is served. September 19, 2013 – Steven M. Cvitanovic, Abigail Lighthart and Colin Murphy of Haight Brown & Bonesteel joined more than 500 people who attended the 2013 BASF Gala, which raised significant funding for the Justice & Diversity Center’s free legal services and diversity pipeline programs, including School-To-College and the Bay Area Minority Law Student Scholarship Program. The Right to Civil Counsel Program focuses on providing pro bono legal services on matters involving basic human needs (housing, health care, domestic violence). As part of our commitment to community service and pro bono, Haight has made a committment to helping persons of low-income resolve their legal issues in these critical areas. 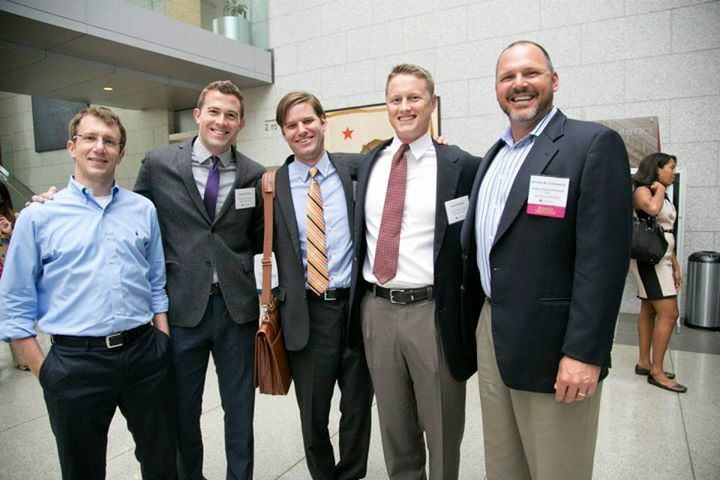 March 2013 – Attorneys in Haight’s San Diego office are regularly participating in the San Diego Volunteer Lawyer Program’s (SDVLP) HIV/AIDS Legal Services Project Clinic. The Clinic offers legal advice and services to HIV-positive individuals in the San Diego community. Participants of the clinic come in on a walk-in basis to seek legal advice from volunteer attorneys. After meeting with clinic participants to discuss legal issues, attorneys work with the clinic director to determine whether the issues merit referral to one of SDVLP’s programs. February 4, 2013 – Haight recently assisted the San Francisco Community Land Trust in the creation of a limited liability company. The mission of the San Francisco Community Land Trust is to create permanently affordable, resident-controlled housing for low-to-moderate-income people in San Francisco through community ownership of the land. January 16, 2013 – Three Haight attorneys from the San Francisco office recently volunteered their time at the San Francisco Bar Association’s Housing Negotiation Project, representing low income tenants facing imminent evictions. After extensive negotiations, Zack Shine, Winnie Tungpagasit and Jessica Lassere, each successfully settled their unlawful detainer actions in which their clients were able to stay in their respective homes or have time to look for a new residence. Results such as these are significant because homelessness invariably increases the consumption of public resources. Congrats to all three for their successful volunteer efforts and for admirably representing Haight in the community. For the 9th year in a row, attorneys at Haight Brown & Bonesteel partnered with our client, Century-National Insurance Company, to make the holiday wishes come true for the children of Olive Crest. Olive Crest has transformed the lives of over 60,000 abused, neglected, and at-risk children and their families. Working tirelessly to meet the individual needs of kids in crisis, Olive Crest provides safe homes, counseling, and education for both youth and parents. Their many innovative programs reflect their conviction that strengthening the family is one of the most powerful ways to help heal children. For more information about Olive Crest, click here. Haight Brown & Bonesteel is pleased to announce that the Fulton Haight Memorial Scholarship has been awarded once again to a deserving USC Gould School of Law student. The legacy of Mr. Fulton Haight lives on through the students who receive this scholarship each year. To date, the Scholarship has been awarded to fifteen deserving students based on need and merit with a preference given to Moot Court candidates. Lawrence Zucker has served on the Board of Directors of DS Action since July of 2008 as General Counsel. DS Action is a non-profit organization formed to identify the unmet needs of people with Down syndrome. In late 2007, DS Action partnered with Randy Children’s Hospital in San Diego to establish the first Down Syndrome Center in Southern California. The Center allows all children with Down syndrome the equal opportunity to receive medical evaluations, referrals and intervention services. The Center is a much needed resource to the entire region of Southern California and neighboring jurisdictions including Mexico. All funds DS Action receives through its charitable events and direct donations go directly to the Center. DS Action is affiliated with the National Down Syndrome Society (NDSS) and the National Down Syndrome Congress (NDSC). This is a charitable event the Zucker family puts on at their house each year. The event includes real snow, cookie decorating, pictures with Santa, a raffle and silent auction. We are celebrating our fifth consecutive year this December (2012). The event has become so large that future events will be open to the public. Mr. Cvitanovic assisted a United States Marine in re-enlisting after the Department of Defense denied him security clearance. Unbeknownst to the Marine, while he served in Afghanistan, he was the victim of identity theft. Numerous credit accounts were opened in his name including, a mortgage, a car loan, and numerous credit cards. Through the ABA’s Military Pro Bono project, Mr. Cvitanovic worked with the credit bureaus and lenders to clear these debts from his name so he could re-enlist and regain his security clearance. To learn more, click here.